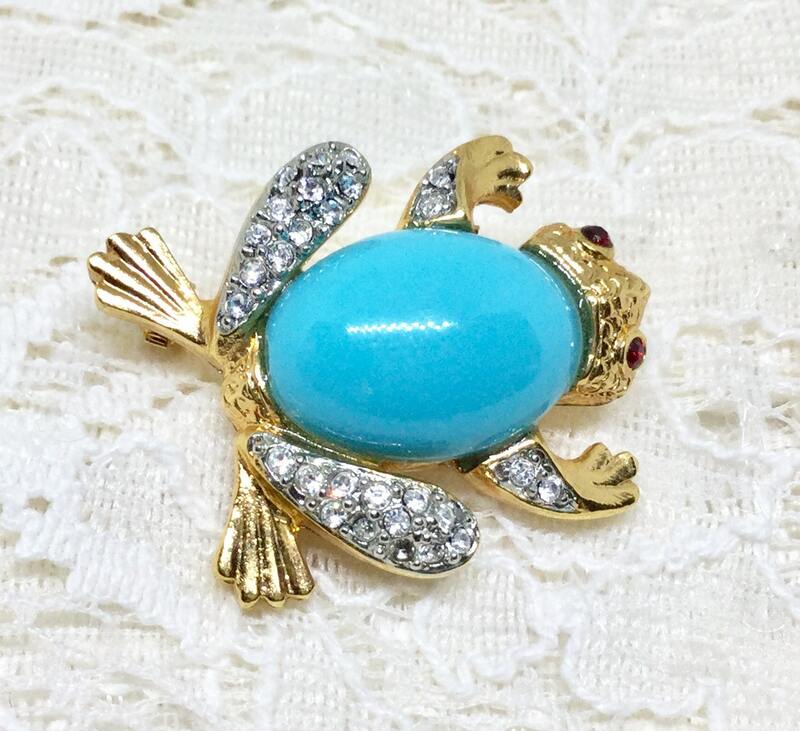 This is a KENNETH J LANE signed striking frog brooch. 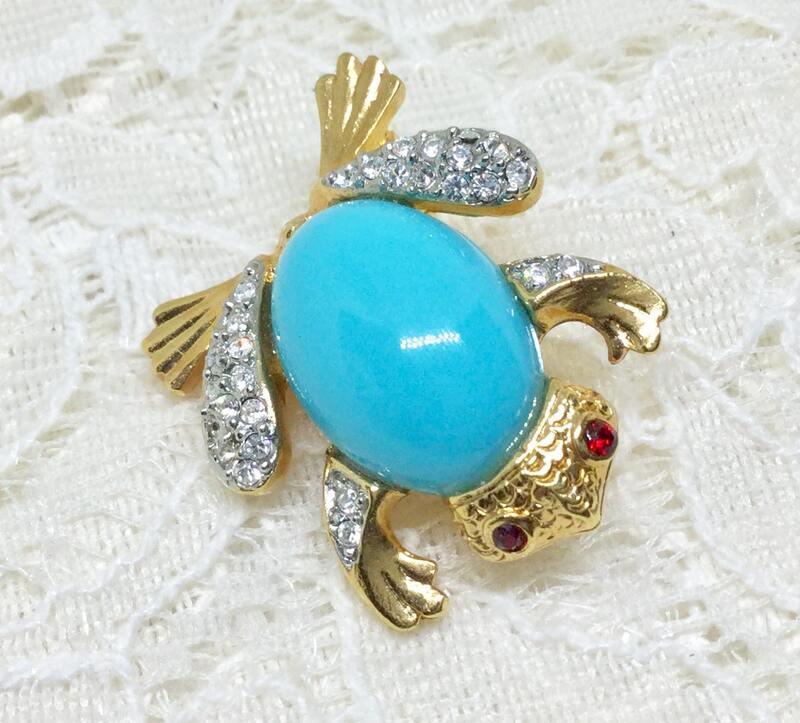 The body is accented with a turquoise colored resin cabachon. The legs are clear crystals and the eyes are red crystals. 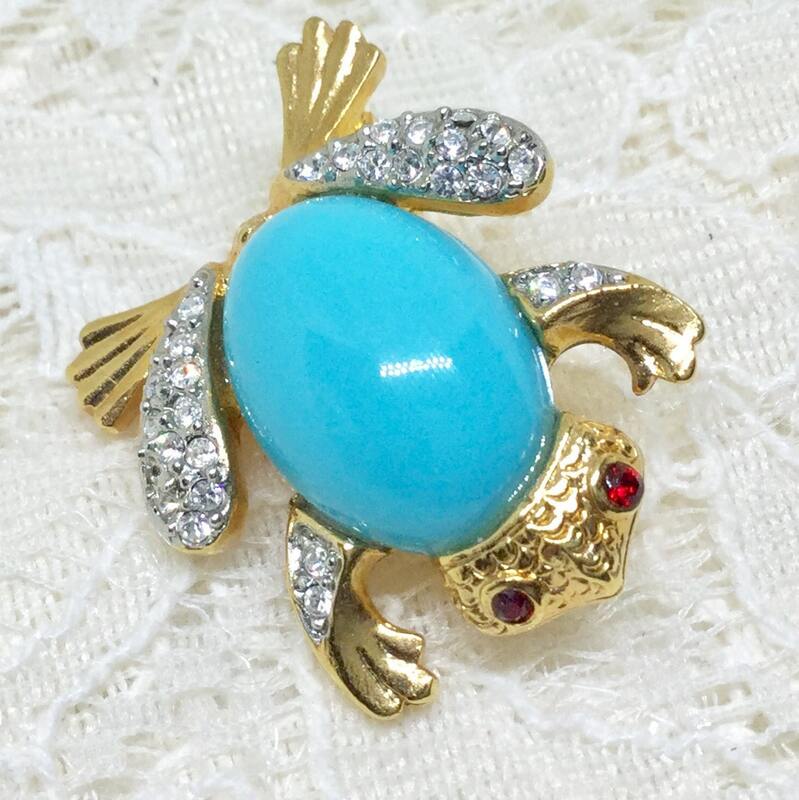 It is 22k goldplated and it is signed on the back in a cartouche marked KENNETH LANE with a copyright symbol. 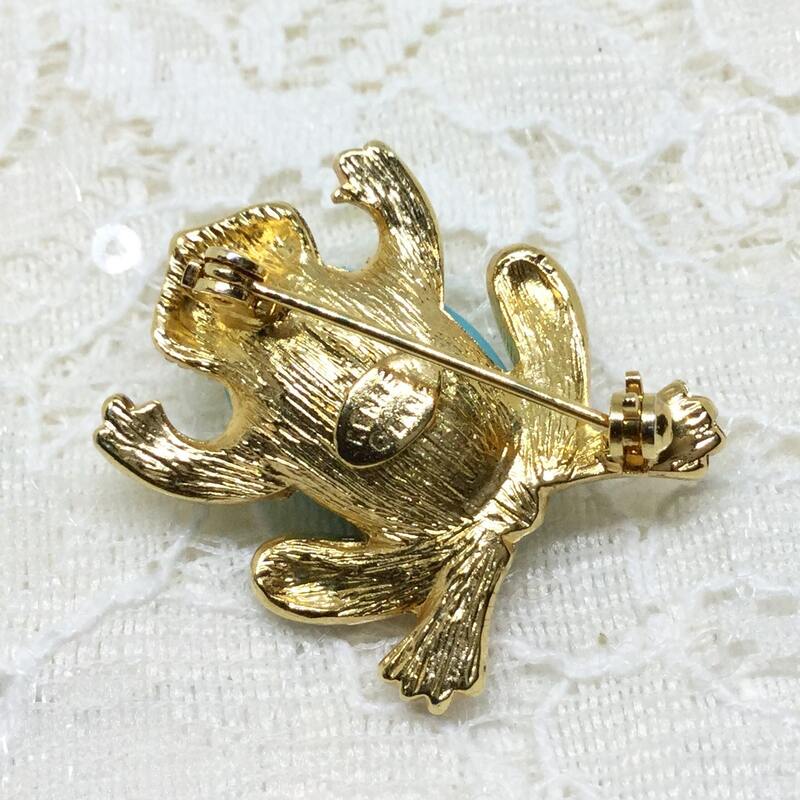 It measures 1 1/4” x 1” and the pinback is straight and works smoothly and securely. 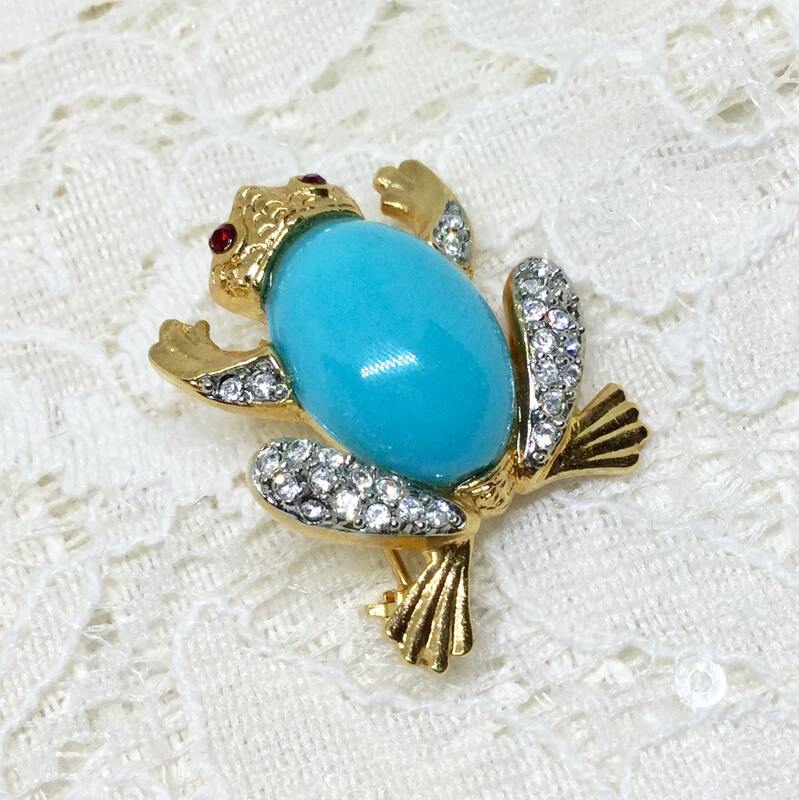 This is a quality piece, as are all KJL brooches, with a touch of whimsy. 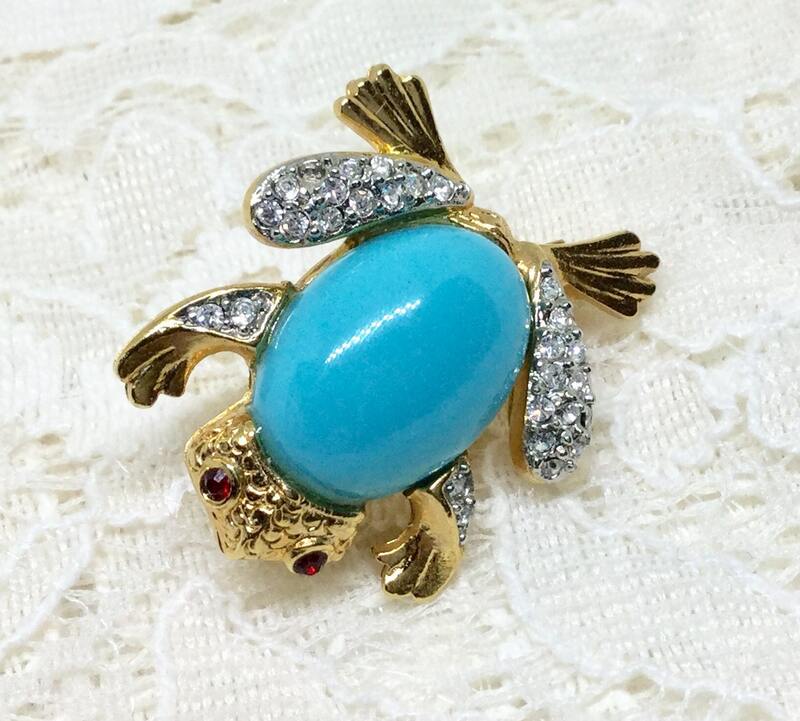 A great gift or an addition to your KJL collection!